THE kingdom of God is within you,” says the Lord. Turn, then, to God with all your heart. Forsake this wretched world and your soul shall find rest. Learn to despise external things, to devote yourself to those that are within, and you will see the kingdom of God come unto you, that kingdom which is peace and joy in the Holy Spirit, gifts not given to the impious. Christ will come to you offering His consolation, if you prepare a fit dwelling for Him in your heart, whose beauty and glory, wherein He takes delight, are all from within. His visits with the inward man are frequent, His communion sweet and full of consolation, His peace great, and His intimacy wonderful indeed. Give place, then, to Christ, but deny entrance to all others, for when you have Christ you are rich and He is sufficient for you. He will provide for you. He will supply your every want, so that you need not trust in frail, changeable men. Christ remains forever, standing firmly with us to the end. Do not place much confidence in weak and mortal man, helpful and friendly though he be; and do not grieve too much if he sometimes opposes and contradicts you. Those who are with us today may be against us tomorrow, and vice versa, for men change with the wind. Place all your trust in God; let Him be your fear and your love. He will answer for you; He will do what is best for you. You have here no lasting home. You are a stranger and a pilgrim wherever you may be, and you shall have no rest until you are wholly united with Christ. Why do you look about here when this is not the place of your repose? Dwell rather upon heaven and give but a passing glance to all earthly things. They all pass away, and you together with them. Take care, then, that you do not cling to them lest you be entrapped and perish. Fix your mind on the Most High, and pray unceasingly to Christ. If you do not know how to meditate on heavenly things, direct your thoughts to Christ’s passion and willingly behold His sacred wounds. If you turn devoutly to the wounds and precious stigmata of Christ, you will find great comfort in suffering, you will mind but little the scorn of men, and you will easily bear their slanderous talk. When Christ was in the world, He was despised by men; in the hour of need He was forsaken by acquaintances and left by friends to the depths of scorn. He was willing to suffer and to be despised; do you dare to complain of anything? He had enemies and defamers; do you want everyone to be your friend, your benefactor? How can your patience be rewarded if no adversity test it? How can you be a friend of Christ if you are not willing to suffer any hardship? Suffer with Christ and for Christ if you wish to reign with Him. Had you but once entered into perfect communion with Jesus or tasted a little of His ardent love, you would care nothing at all for your own comfort or discomfort but would rejoice in the reproach you suffer; for love of Him makes a man despise himself. A man who is a lover of Jesus and of truth, a truly interior man who is free from uncontrolled affections, can turn to God at will and rise above himself to enjoy spiritual peace. He who tastes life as it really is, not as men say or think it is, is indeed wise with the wisdom of God rather than of men. He who learns to live the interior life and to take little account of outward things, does not seek special places or times to perform devout exercises. A spiritual man quickly recollects himself because he has never wasted his attention upon externals. No outside work, no business that cannot wait stands in his way. He adjusts himself to things as they happen. He whose disposition is well ordered cares nothing about the strange, perverse behavior of others, for a man is upset and distracted only in proportion as he engrosses himself in externals. If all were well with you, therefore, and if you were purified from all sin, everything would tend to your good and be to your profit. But because you are as yet neither entirely dead to self nor free from all earthly affection, there is much that often displeases and disturbs you. Nothing so mars and defiles the heart of man as impure attachment to created things. But if you refuse external consolation, you will be able to contemplate heavenly things and often to experience interior joy. Mr. José Alberto Villasana Munguía is a Mexican journalist who has received the national award for journalism on the “Vulnerability of the Financial System” (2004) and a 2009 exposé on the murder of Pope John Paul I (2009.) Mr. Villasana is academic advisor to the “International Institute for Human Rights” in Mexico and is directing member of the “Journalism Club of Mexico.” In Rome, he studied theology at the Gregorian and philosophy at the Angelicum. Most importantly, Mr. Villasana has functioned as the advisor to the secretary on the external relations between Mexico and the Vatican. For me as a theologian, it is easy to say, due the fact I have knowledge of canon law, as well as having certain direct contacts that I, your servant, have in the Vatican (such as Fr. Paul Kramer, world expert in Fatima who lives in Ireland) the following: Immediately when the [Papal] renunciation and the [next] election happened, I had obtained the precise dates about how [Pope] Benedict XVI had been obliged to renounce [the Chair of Peter.] The first date had been when the VatiLeaks story in Rome appeared through which they had put into jail the butler of Pope Benedict XVI, Paolo Gabriele. This happened because, supposedly, he had taken those stolen documents from the Papal apartments and had published them via this journalist who put them in his book, Su Santità. When Paolo Gabriele was arrested for this accusation, at the same time, it was published in three daily Italian newspapers whereupon an anonymous person said that the butler, Paolo Gabriele, was a scapegoat. This anonymous person claimed, “The conduit of the documents is me” giving himself the nickname, “The Crow.” I, the Crow, in reality forwarded his documents, not Paolo Gabriele. For all of us who have studied these themes of the Church in the Vatican, “the Crow” is none other than Angelo Cardinal Sodano who is certainly the Dean of all the Cardinals. He has a higher rank and gathers them. Sodano is without a doubt this sinister personage who had forwarded the documents. One of these three documents was a direct death-threat against Pope Benedict XVI coming from a monsignor in Palermo who also made it known in Germany that no one was to interfere with this. It was made known that in no more than one year, we would poison you [the Pope.] Pope Benedict XVI took this threat very seriously and formed a commission of three Cardinals to investigate where this threat had come from and if it was real, that is to say, whether he had to take it seriously. These three cardinals worked throughout six months and delivered on 17 December 2012 the result with over 300 pages which contained the findings of their investigation. And in few words, they tell him, the threat is real. They are going to assassinate you, they are going to poison you, in no more than a year. This was on the 17 December 2012. I had a direct contact [in the Vatican] who confirmed this the next day. 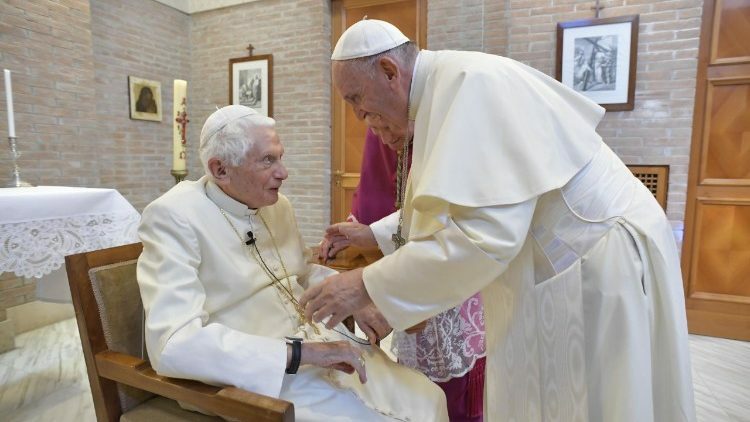 [Benedict] called the Vicar of Rome and his brother (who is a priest) and told them: “I’ve just made the decision to resign.” That is to say, before Christmas of 2012, he had already made the decision to resign even though he had not announced it until 11 February. This is more evidence that he had made such decision based on confirmation of a death threat. Then came even stronger threats such as a threat of schism. A group of cardinals, most of them German, made it known to him [Benedict XVI] that we have more than two thousand signatures from priests, bishops and lay people, declaring, “If you don’t resign, along with all of your team at the Secretary of State with Cardinal Bertone as the head, that if you do not proceed to act now by removing yourself, we have the signatures to form a new church separated from Rome.” It is evident, for me, that this was the threat that really got to him. I don’t believe that Benedict feared having to give his life since—because that is what the cardinalate means—to be willing to shed blood…What exactly did Benedict say in this? “If I am the object, If I am the center of this blackmail and my person can give rise to a schism, well, better that I withdraw myself and defuse the threat of schism.” It was truly a master move. At least he delayed the schism, something, which had never come about in the history of the Church (sic). And so, we could go on with many other proofs. I have published five or six proofs of a coercion to resign. Now, in canon law, when an act is flawed with fear, pressure or deception, the human act is in itself invalid, as occurs within marriage. Why does the Church sometimes grant nullity? It is not that it grants a “divorce.” It grants nullity, that is to say, the Church declares that a marriage did not exist. Why? Well, because [for example] the father-in-law put a gun to the man’s head so he would marry his daughter. That is, it was not an act of the free will. Therefore, this marriage never existed. In the same manner, in this case of Benedict XVI, the resignation never existed, although he may have said ‘I freely resign’, in reality, a percentage of that decision, we do not know if a ten, fifty or a ninety percent was flawed by that very coercion. Much later, that is today, proof is no longer needed. No more proof of this kind is needed. The proof which I had dedicated myself to compile at the time since about eight or nine months ago, well, Belgian cardinal, Godfried Danneels published his biography where he said that he, along with eight cardinals, formed a kind of “club-mafia,” as he called it. This club-mafia which gathered in Sankt Gallen, Switzerland had as its main objective to impede Joseph Ratzinger from reaching the papacy, and that if this came about after they had worked against it, once he would come to be [Pope Benedict XVI], they would see how to force him to resign and to find how to elevate Jorge Mario Bergoglio to the papacy. In jurisprudence, there is a phrase that says: “When there is a confession, there is a relief of proof of evidence.” That is to say, once having been incriminated, an individual or any person who admits to having committed such [crime], the judge no longer needs further proofs, since there was a confession on their behalf. This is what happened with that fortunate book written by Cardinal Godfried Danneels. We no longer need to go on bringing up whether they were going to threaten him [Benedict XVI], whether they were going to poison him. No! It is true that he was forced to resign. Furthermore, there is something even more serious, namely, that in the apostolic constitution Universii Dominicii Gregis (the one which regulates apostolic succession in conclaves), it establishes very clearly that if a Cardinal lobbies in favor of another Cardinal, that Cardinal is excommunicated ex latae sententiae. What does this mean? This means he excommunicates himself without a necessary declaration from anyone. In that very moment in which they commit their act of lobbying, as well as the Cardinal who illegitimately receives such lobbying in his favor, all are excommunicated. This means that even before the conclave was held, Jorge Mario Bergoglio and these cardinals were already excommunicated. They were already outside the Church. So, this is very important to keep in mind because that is precisely where the confusion comes from. Going back to the master play done by Benedict XVI, let us say that what he did is very important to understand. And to do that, we need to take a look at the farewell speech that was delivered to the Roman curia. It is very important. On 11 February 2013, when he announced to the world that he was going to resign on 28 March, you remember no? Well then, the day before he took a helicopter in which he left for vacation to Castel Gandolfo, he delivered an extremely important speech in which he said farewell to the entire curia. All the cardinals, bishops and priests of the Vatican curia were gathered. In that speech (paragraph nine in the Latin) wherein he thanked God Our Lord for having chosen him in 2005 as Vicar of Christ. Yes?.. It was for having carried upon his shoulders the Munus Petrinus, that is to say the office of Peter, to be a successor of Peter. But in that office, the Munus Petrinus, to be the Vicar of Christ, one cannot resign. It is something that is taken until death. There is no, there cannot be any returning to a life which is private. And, the next paragraph says “I resign the munus administrativus,” that is to say, to the administrative duties of the papacy. And here, I would like to make a point which I also believe is important. When talking about an ‘antipope’, the reaction that many have is immediately negative. Why? Well, perhaps because they relate it to the term ‘antichrist’. No? Well,then an antipope is not necessarily someone who is bad. In the history of the Church, there have been 38 antipopes. Yes? Counting Jorge Mario Bergoglio. Many of those antipopes have done much good for the Church. Even a saintly antipope exists, who was St. Hippolytus of Rome. During the early centuries of the Church when they imprisoned the pope and so this group of bishops said, well, the Church cannot be left without a pope—the pope is imprisoned and elected Hippolytus, the bishop Hippolytus, Hippolytus of Rome. So, Hippolytus accepted the nomination, and finally, he began to govern the Church, suffered martyrdom, etc. and well, the point is that during that time, nobody reasoned that despite the pope having been imprisoned, that they could elect another one because the papacy, the petrine office, like Benedict said in that speech, was Ad Vitam, that is to say, for one’s whole life. Well, in this case of the heresy that is spoken by a pope, let us also qualify because there is also an [idea] that says that when a pope pronounces a heresy, in that moment, he ceases to be pope. Here, let us clarify that such a judgment (which today prevails in theology) comes from St. Robert Bellarmine in the sixteenth century and from other followers. Yes, it can happen because many times people will ask: Can a given pope fall into heresy? Yes! He can fall into heresy. In fact, there are several popes that fell into heresy. The first of them who by the way has some similarity to what is happening in our time was Pope Liberius. And this case is very important because it is repeating itself today! At that time, in fourth century, beginning of the fourth century, the immense majority of bishops had fallen into heresy, in Arianism, including the emperor and the Pope. The only one who sustained himself in the true faith was St. Athanasius and another small group of two or three bishops, but let us say that ninety-eight percent of the bishops, the emperor and the pope were in heresy. The same thing is important for our days! Why? Because a good ninety-eight percent, the immense majority of Catholics consider that Jorge Mario Bergoglio is a legitimate pope and that what he is saying and doing is correct. No? The few of us who are questioning are very few in number. We are two percent! Don Rafael, Don Jose, Carlos the engineer, that is, we are just a handful who are beginning to discuss the situation. The third was with Christ and the disciples. And each disputation has an excellent question. The conclusion of the first disputation was, “Sir, I perceive that thou art a prophet,” (v.19). The conclusion of the second disputation is that Christ is the Messiah. The conclusion of the third disputation is the theme, that [he is] the Savior of the world (v. 42)..
As for the first disputation which was with the Samaritan woman it must be known that it was friendly, because Christ began it. So as Christ was traveling from village to village personally preaching, he came to Samaria, a great city, larger even than Paris. Near that city there was a high fountain — it was called a fountain, because it gushed fresh water — and a deep well. Christ was weary and totally exhausted from the journey. He sat himself on the edge of the well so he might wash his blessed face over the fountain, and so its coolness might refresh him. In the mean time he Apostles and disciples went into the city to buy food and bread. Christ replied saying, “O woman, if you knew the gift of God, and who he is that says to you, ‘Give me to drink;’ perhaps you would have asked of him, and he would have given you living water,” (v. 10). Note the gift of God given to the human race. This gift is the Son of God given in the incarnation, about which Isaiah, 9, “…A son is given to us,” (Isa. 9:6). Behold the gift given in our redemption. The woman continued arguing, saying to Christ, “Sir, you have nothing to draw water with, and the well is deep. Where then do you have living water? Are you greater than our father Jacob, who gave us the well, and himself drank there, and his children, and his cattle?” (vv. 11-12). Christ responds: “Woman, you do not understand of which water I speak, because this is not it. Whosoever drinks of this water, shall thirst again; but he who shall drink of the water that I will give him, shall not thirst for ever: But the water that I will give him, shall become in him a fountain of water, springing up into life everlasting,” (vv. 13-14), and he shall have eternal life. Such was the power of Christ’s words that the woman bowed to him, and already contrite in heart with humility and reverence said, “Sir, give me this water, that I may not thirst, nor have to come here to draw,” (v. 15). Then Christ responded, “You want some of this water?” The woman replied, “Yes, lord.” “Go to the city, and call your husband, and come back here,” (v. 16). She said,” I have no husband,” and Christ said, “Well have you said, ‘I have no husband,’ for you have had five husbands: and he whom you now have, is not your husband. He is a bully and a lecher [ruffianus et ribaldus], and you are his mistress.” And he told her the names of all her husbands, and their characters, and what work they did. This one was called such, and had such a job, and died in this way, and so on with the others. “But this one which you now have is not your husband but a lecher and you too are a lecher.” Then she began to cry out, “O Lord, Lord clearly I see that you are a prophet (v.19) and you know everything that I have done (cf. v.39). Spare me, because I called you a Jew.” The conclusion of the first disputation. Note she first called him a Jew, and later she calls the Lord a prophet. So much for the literal sense of the first disputation. Morally. Now we uncover the moral lessons hidden for us. In this disputation their are six hidden moral [lessons], which we begin to explore through questions. First, who is this Samaritan woman and what does she signify? Response: this Samaritan woman signifies the every Christian sinner in two ways, and the gospel tells us. First, because she comes often, every day, to the water, but she is not satisfied. Such is the condition of sinners, because they come daily to the water of temporal prosperity, and are not satisfied. Such is the way of cupidity. For example, if a priest has a simple benefice, he tries to get a larger one, and is never satisfied. Behold the condition of the water of temporal goods which do not satisfy, because they do not hit the spot where the thirst is. For the thirst is for having worldly goods, such as, lands, possessions, gold, silver etc. These temporal goods do not enter within the heart. Even if you had a wagon filled with liquid gold, it would not satisfy you. But just as a starving man is not satisfied by the sight of food on the table, because hunger is in the stomach, and so unless the food goes in, it will not take away the hunger or thirst. So it is with the consumption of temporal goods. Thus however much a man has, he thirsts and desires for more, because such things do not enter into his heart. Authority: “A covetous man shall not be satisfied with money: and he that loves riches shall reap no fruit from them, etc.,” (Eccl 5:9). And so direct pleasures and worldly delights, are like a fever which burns a person with thirst. He is then given a drop of water on the tongue, with a feather. The same with the delights of lust, of avarice, etc. And so wherever flesh seeks refreshment in temporal things, it discovers only failure. For the heart of a man is greater than the heavens and can be satisfied only by God, whom the heaven cannot embrace, but nevertheless the heart of man always holds fast to grace, and then man is satisfied, so Christ says, ” Whosoever drinks of this water, shall thirst again; but he who shall drink of the water that I will give him, shall not thirst for ever, But the water that I will give him, shall become in him a fountain of water, springing up into life everlasting,” (vv. 13-14), by the water of grace and his presence. Thus the conclusion is from theology, that sanctifying grace [gratia gratum faciens] brings and has with it the presence of God. And by this sign it can be known if a person is in grace, when someone does not desire things leading to sin. Note: “springing up into life everlasting.” What a leap is that which the soul makes, when by mouth it leaps immediately into heaven. Think if a man would jump from the earth into heaven. O what kind of a leap would it be, even if it is beyond higher, how much higher yet is it to heaven. And about this sensitivity [delicatura] it is said in Isa 53: ” …To whom is the arm of the Lord revealed? And he shall grow up as a tender plant before him, and as a root out of a thirsty ground: there is no beauty in him, nor comeliness: and we have seen him, and there was no sightliness, that we should be desirous of him: Despised, and the most abject of men, a man of sorrows, and acquainted with infirmity: and his look was as it were hidden and despised, whereupon we esteemed him not. Surely he has born our infirmities and carried our sorrows: and we have thought him as it were a leper, and as one struck by God and afflicted. But he was wounded for our iniquities, he was bruised for our sins: the chastisement of our peace was upon him, and by his bruises we are healed. All we, like sheep, have gone astray, every one has turned aside into his own way: and the Lord has laid on him the iniquity of us all,” (Isa 53:1-6). The arm of the Lord through which God the Father has worked all things, is Christ as God. “All things were made by him: and without him was made nothing that was made.” (John 1:3). And speaking of his humanity he says, ” And he shall grow up as a tender plant before him, and as a root out of a thirsty ground,” (v. 2 ). A tender plant is a little shoot and delicate, which grows up at the base of other large trees, or which sprouts in dry ground where there is not any water. It is very delicate and fragile. So it is clear the reason why Christ was more exhausted than the Apostles. If it is said “Could he not care for himself?” I reply: Always, but he would not have given us an example of laboring for good works, so that we might have patience when we are tired and exhausted, as Christ was, and when from preaching of fasting or other reasons we are worn out, we take comfort from the example of Christ and we acquire patience. Thus the Apostle, “But in all things let us exhibit ourselves as the ministers of God, in much patience, in tribulation, in necessities, in distresses, in stripes, in prisons, in seditions, in labors, in watchings, in fastings, in chastity, in knowledge, in longsuffering, in sweetness, in the Holy Ghost, in charity unfeigned, in the word of truth, in the power of God,” (2 Cor 6:4-7). The third secret is: Why did the Apostles leave him alone? because no one remained with him. The text says: ” For his disciples had gone into the city to buy meats,” (v. 8), and they left him alone in the desert, because that well was a considerable way from the city of Samaria. Response: why they left him alone, because it was at the command of Christ that all should go, so that he might save that woman. For if some disciple had been there, the woman would have been deterred, nor would she have spoken with him, and so he ordered that they all should go to the city to buy what was needed. In this we are morally instructed. And we have an example, that just as Christ in the incarnation has dismissed the company of thousands of thousands of angels, Job 25: ” Is there any numbering of his soldiers?” (Job 25:3). For our salvation he dismissed them. The same way, as he dismissed the company of apostles for the salvation of that Samaritan woman. So likewise we [should dismiss] the company of friends, children, wife, etc. Also he says,” And every one that has left house, or brothers, or sisters, or father, or mother, or wife, or children, or lands for my name’s sake, shall receive an hundredfold, and shall possess life everlasting,” (Mt 19:29). Note “for my name’s sake” which is Jesus, translated as Savior. “For my name’s sake,” i.e. for the salvation of a soul, that the religious leaves his homeland for the purpose of preaching. The same for the priest or layman, who leaving the world “shall receive a hundredfold, etc.” Or wife, or children. The question is: Is a man able to dismiss his wife for Christ, and the salvation of a soul, either his or of others? Response: that a man cannot dismiss a wife which he already has, unless they both agree upon entering religious life, and if the other is to remain in the world, they are bound to live continently. Likewise a father should not leave his children unless thy are well provided with necessities, and are well instructed, educated and adult enough. The same holds for children, who should not leave their parents, poor and old, unless they are taken care of. Second, one “leaves a wife,” not a wife which he has, but one which he might have, and children which he might have. For the love of Christ he leaves everything. So this text [auctoritas] is to be understood. The fourth secret, or the fourth question is shown in this, when the woman says, “How do you, being a Jew, etc.” (Jn 4:9). How does the woman know that Christ is a Jew? Response: that she recognized him by his speech in the same way as Peter was recognized on the night of the passion. “Surely you are also one of them; for even your speech betrays you,” (Mt 26:73). Morally. Everyone is recognized for where his homeland is. There are two opposing homelands: paradise, and hell, and in each they speak differently. The language of paradise is like that in the Psalm, “Blessed are they who dwell in your house, O Lord: they shall praise you for ever and ever,” (Ps 83:5). Therefore when a religious or priest or layman freely praises God, it is a sign that he is one of those from paradise. “.. for even your speech betrays you,” (Mt 26:73). It is otherwise when, with weariness in a confused and irreverent and non devout way one recites the Office or prayers. It is a great sign of predestination to praise God with delight. The language of hell is that of which John says in Apocalypse 16: “And men were scorched with great heat, and they blasphemed the name of God, who has power over these plagues, neither did they do penance to give him glory,” (Rev 16:9). Therefore when one swears, contradicts [renegat], blasphemes, etc., it is a sign that he is a townsman and citizen of hell, whence, “you also are one of them, etc.” Thus to swear and contradict is a manifest sign of predicted damnation. The sixth secret or sixth question: Since Christ said, “Go call your husband,” Why did he say that, since Christ knew that she did not have a husband? Response: that Christ chose this way of speaking so that the woman herself would speak the truth with her own mouth, that she did not have a husband. Morally. ” For you have had five husbands; and he whom you now have, is not your husband,” (v.18). So when one sins out of weakness, or from ignorance, each person has five husbands, and finally takes on the bully [ruffianum], the devil. The five husbands are the five natural bodily senses. For just as a man rules his household, so these five senses rule the body in [those] sins which come from weakness, like Peter when he denied Christ out of fear. But when one sins out of habit and malice, one is ruled by the devil, like a bully or a pimp. The Apostle says about this, “And they may recover themselves from the snares of the devil, by whom they are held captive at his will,” (2 Tim 2:26). The same St. Paul says: “Know also this, that, in the last days, shall come dangerous times. Men shall be lovers of themselves, covetous, haughty, proud, blasphemers, disobedient to parents,” (2 Tim 3:1-2). In his reply Christ acknowledged two opinions. First, that the truer opinion was that of the Jews, because although the patriarchs had adored there, nevertheless the place of prayer had been moved. The second opinion, that one can worship in every place, because God is everywhere. Then Christ replied: “Woman, believe me, that the hour is coming, when you shall adore the Father neither on this mountain, nor in Jerusalem. You adore that which you do not know; we adore that which we know, for salvation is of the Jews. But the hour comes, and is now, when the true adorers shall adore the Father in spirit and in truth. For the Father also seeks such to adore him. God is a spirit; and they who adore him, must adore him in spirit and in truth,” (vv..21-24). And so Jesus resolved the question against the Samaritan woman. “The woman said to him: I know that the Messias (who is called Christ) is coming. Therefore, when he comes, he will tell us all things,”(v. 25). Jesus replied, ” I, who am speaking with you, am he,” (v.26). Nowhere in the gospels is it found that Christ so clearly said that he was the Christ, the Savior of the world, as he does here. And instantly the woman, enlightened, left her water jug and ran into the city, crying out and declaring and calling the people, “O my good people, come, and see a man who has told me everything that I have done. Is not he the Christ? They went therefore out of the city, and came to him,” (v.29-30). In this question there are three secrets. 1) To understand this, realize that it is an principle of philosophy, that truth is the correspondence of thing to intellect. For example when the spirit thinks about the infinite sanctity and purity of Christ, and on the other hand it thinks about the gravest sins which man himself commits, then when the external gesture of the body corresponds to the spirit saying: “Lord I am not worthy to behold you. Alas, how many sins have I committed against your will and holiness etc.,” and physically one bows down, by revealing humility externally, then [the body] corresponds with the spirit in the heart. But when the heart is in the tavern, and the body bows, it is not truth. In this way the publican prayed to God in the sprit and truth saying:” O God, be merciful to me a sinner,” (Lk 18:13). For this reason we now say. “Bow your heads to the Lord,” [Invitation to the prayer at the end of Lenten Masses] as if the church is saying, you are not worthy to look upon him. For this reason the statues are veiled in Lent as if to say we are not worthy to look upon these images. 2) Second, God is adored in spirit and truth. First in spirit by thinking of his dominion, how he created body and soul and all things are his. Otherwise of other lords. Second, he is to be adored in truth, by the genuflecting of both knees to him, temporal lords only the left, and prelates the right. In this way we say, “Let us bend the knees,” [Flectamus genua. Levate. A liturgical command during Good Friday intercessions.] and it does not say by a knee . “Raise up,” namely, the spirit on high. So when you wish to say a prayer, first you should pray in the spirit, thinking with whom you should be speaking, then in truth, by reverence of the body on the outside. Behold why Christ says,” The Father also seeks such to adore him…in spirit and in truth,” (Jn 4:23). And scriptures agree saying,” As I live, says the Lord, every knee shall bow to me,” (Rom 14:11). 3) Third, God is adored in spirit and in truth. First in spirit thinking of his eternity, and in contrast of our own vile beginnings, because [we are] made of earth, and thinking of our end, because we shall die. And in truth by prostrating oneself on the earth, which is to say “to earth we shall return,” and shall die, and God is in his eternity. This is signified in his passion when it is said, “He gave up his spirit,” (Mt 27:50). There every Christian prostrates. Thus David says, ” Come let us adore and fall down: and weep before the Lord that made us,” (Ps 94:6). 4) Fourth, God is worshipped in spirit, by thinking of the generosity of God who gives all temporal and spiritual goods, and on the other hand our uncleanness and needs. And in truth. So we raise our hands: the right for spiritual goods, the left for temporal goods. 5) The fifth manner of adoring God in spirit, by thinking of God’s mercy, because since we are condemned to the pitchfork of hell, the Son of God was so merciful that he said to his Father: Blessed Father, I alone wish to be suspended for the whole people. And on the other hand by thinking about sins for which the sentence has been given. And in truth, when the cross is signed in the heart saying: “The earth is full of the mercy of the Lord,” (Ps 32:5) from your passion. Thus Paul, ” “But God forbid that I should glory, save in the cross of our Lord Jesus Christ,” (Gal 6:14). 6) The sixth way of adoring in the spirit by striking our breast, thinking of God’s infinite immensity and thinking of the offense committed toward him by our sins. Thus the heart is struck with five fingers, just as we have five ways of sinning, namely, thought, word, work, omission and by persistence, because in these ways God is offended. The second secret is when it says, “She left her jug, etc.” Literally, why does she leave it? So she can run more quickly to the city. But spiritually, the jug symbolized the evil companions of the woman, who blocked her path, and so she left it. Many are such, who by the association and familiarity and love of certain people are impeded from the path to paradise. So the woman left her jug, i.e. her bad companions. Thus the Poet,” Things you have which are harmful, [though dear, let go,]” (Cato, Distich, Lib. I, v. 6). The third disputation was between Christ and the Apostles, humbly, because they said, “Rabbi, eat,” (v. 31). and they set a meal before him. However, Christ refused to eat, but replied saying, ” I have meat to eat, which you know not,” (v. 32). The evangelist says that, “The disciples therefore said one to another,” namely between themselves, “Has any man brought him [something] to eat?” Christ however declaring which food he was talking about said,” My meat is to do the will of him that sent me, that I may perfect his work,” (v. 34). This he was saying for the sake of the people who were coming from the city, and when he saw the people, he thought, “It is necessary for me to preach,” because he did not say I do not prefer to eat food, but he said, I have other food to eat, namely the word of God. For not by bread alone does a man live, “But in every word that proceeds from the mouth of God,” (Mat 4:4). Note that, in the example of Christ, a sermon should come from a fasting stomach. And he preached to those from the city, O how sweetly, “and he remained there two days,” (v. 40). And they believed in him, to such an extent that they said to the woman, “We now believe, not for your saying so: for we ourselves have heard him, and know that this is indeed the Savior of the world. (v. 42) In such a way he illuminated us.” Behold therefore the conclusion of this dispute. Morally. The food of Christ is to do the will of God the Father. Thus we do the will and we give him to eat, because this food is greatly pleasing to him. – He wants food from bishops, that they enter through the door, not through simony. Second after they are inside, that they be more concerned about souls that stipends. Finally, that they live from stipends and share with the poor and give good example and good teaching. From this food God is satisfied. – As for secular lords he wants food, namely that they minister justice both to the little ones and to the great, both to the poor as well as to the rich, and they do not qualify justice because of bribes and favors. Shunning robbery, content with their own income, they serve the people in peace. – Of the laity he wants two foods, and they are enough, namely the articles of the faith and the observance of the precepts of God. And finally he would say to you in judgment, from Mat 25:34, ” Come, you blessed of my Father, etc.” namely with the aforesaid foods and so you shall be with Christ at the table of glory, about which he said, “And I dispose to you, as my Father has disposed to me, a kingdom; That you may eat and drink at my table, in my kingdom,” here through grace, and in the future, through glory (Lk 22:29). coarseness of manners manifest little or no education on the part of their possessors. Modesty, as we all know, is that virtue which teaches us how to do all things in the right way. all He did things, then He taught afterwards. Love of my heart. 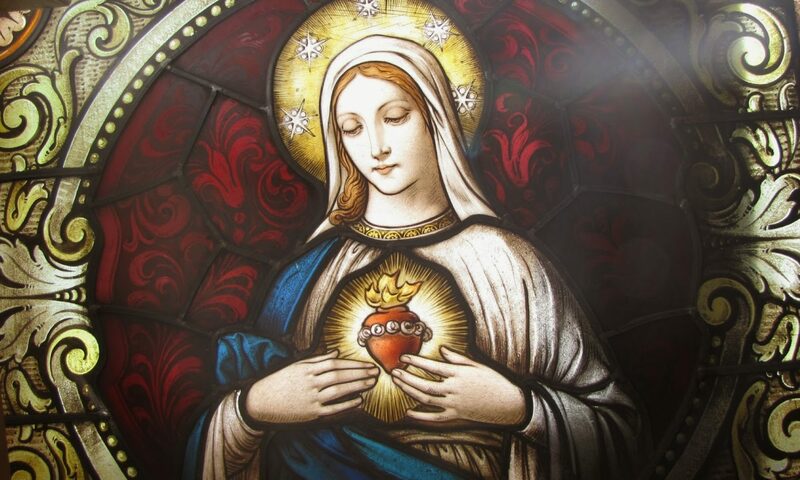 I love Thee, and wish to draw all men to Thy most holy love! relying on the help of God’s grace. In the first place, I resolved to deprive myself of all taste or preference, and to give it to God. as well as one’s prayer pleasing to God Our Lord. conduct. Singular among them must be mentioned St. Bernard, St. Peter of Alcantara, and St.
Roman lady renowned for her rare beauty, he still did not know her by sight. see if she be rich or poor, beautiful or ugly. and kept them shut all during the administration of the Sacrament. naught all the fruit which his preaching had produced. my views on the matter. I tried to amend and correct myself as much as possible. inflexible rule never to speak of what I have done. gathered that I ate very little, in spite of the fact that I was, at times, very hungry. as a confirmation of what had been told me by Jesus and Mary. hear confessions, so as to come there themselves and confess their sins. will was my greatest pleasure. spiritum.” Woe to those who are enemies of mortification and of the cross of Christ! of the virtue of temperance. be an act of justice. be an act of fortitude. nature, it will be an act of the virtue of religion. will be an act of faith. the poor souls in purgatory, it will be an act of charity towards his neighbor. according to the end I propose to myself while doing the said act. or passion. Thus, the greater merit will be his the greater the pleasure he has denied himself. flee from sin, faults and imperfections, and to practice virtue. our heavenly Father, Who loves us so much. the ones who please Thee most and whom Thou dost esteem most. in order to oppose me still further. died on the Cross abandoned by all. To labor and to suffer for the one we love is the greatest proof of our love. God was made man for us. But what kind of man? How was He born? How did He live? not help their bodies which rot under the earth. pains He underwent, so long-enduring and intense! from me to glory in anything save in the cross, upon which Thou wert once nailed for me. And I, dear Lord, wish to be nailed to the cross for Thee. So may it be. Amen.